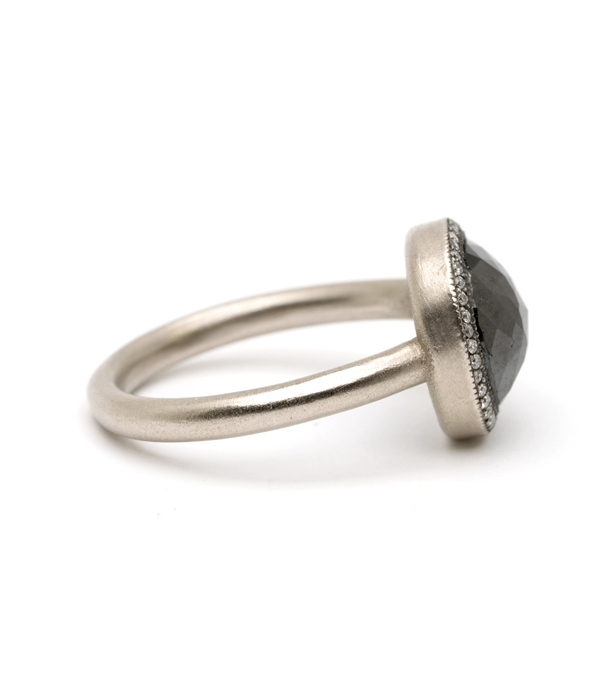 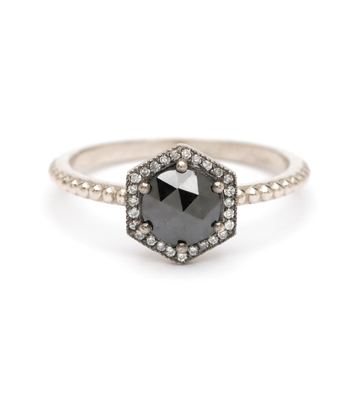 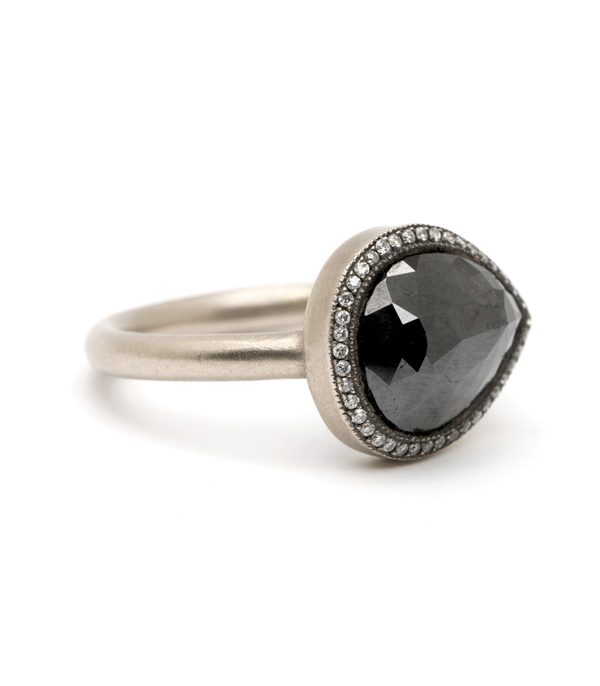 Add a touch of drama to any wardrobe with this 3 carat rose cut black diamond 14k gold ring. A center mesmerizing black diamond is surrounded by a row of twinkling colorless diamonds, set in 14kt matte white gold band, with a blackened accent around the bezel. 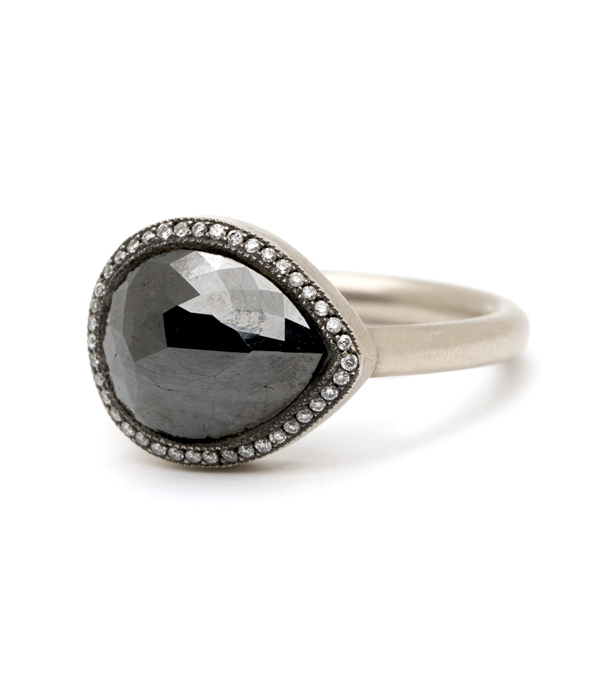 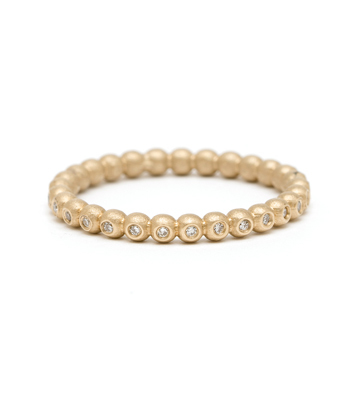 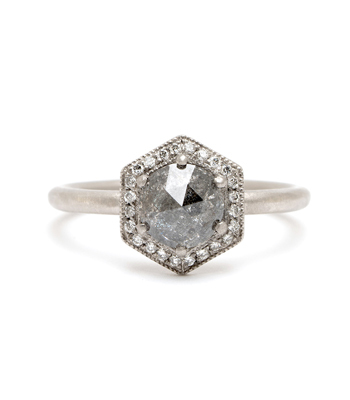 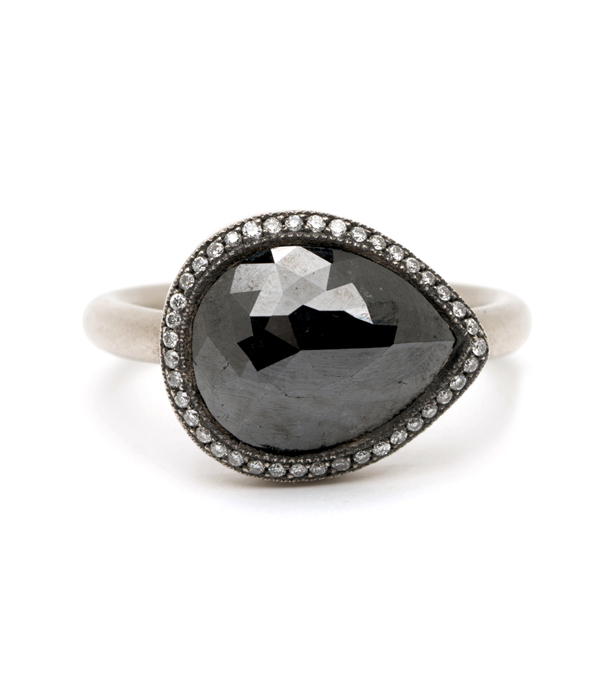 Chic and sophisticated, this could be a fabulous engagement or statement ring for the gal who is not afraid to rock tradition! 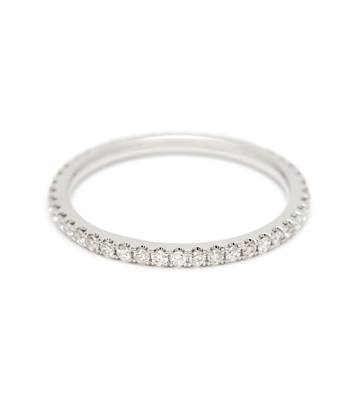 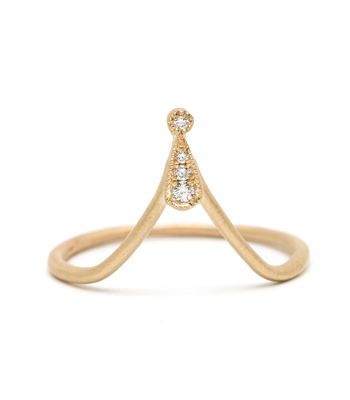 This one-of akind ring fits a size 6.5-7.